"I don't want to work." "… Umm, what did you want?" "… Even if you're reincarnated as a tree or something?" "You know… were you listening to what I said when I asked for your condition?" "Eh? What was it again?" I think he was talking about the mana circulation and something about monsters, but I wasn't really listening. "In your original world, could you have researched something like a golem? Doesn’t that fill you with motivation…?" "Eh? Hahaha, not really. Students nowadays might be like that though." "Yep, time’s up… it was a special chance, but I'll try asking the next person." "Well, I'll just make you able to understand languages. Also, if you work hard I’ll give you a proportional blessing." "There is magic in the world you'll be reincarnating into, but I don't believe civilization has developed to the point where you won't have to work. Besides, you being summoned probably means someone wants you to do something." "Well, do your best yeah?" "A-alright! The summon was successful! … Eh, wait, a-a human!? Why!?" I don't know what sort of principle was behind it, but I appeared in a room whose walls were shining a pale white. "Why… why’d such a weakling come out even though I put in all of my DP…"
"Ugugu, what, I didn’t hear anything about a gacha monster talking! … Oh right, it’s a human huh? Maybe that’s why it’s talking?" "Oh, u-un… Wait, what's with you!? I’m the summoner, you should be listening to what I say!" "Who's a little girl! F-fine, you’re a monster summoned by a Dungeon Core! I'm going to work you until you die!" Dungeon Core… monster… yup, I don't get it. I was summoned, so am I a hero or something? "Hey, hurry up and head out to slaughter those bandits! I sunk a full 1000 DP into you so you’re actually pretty strong right!?" "Right, I'll listen to you for a bit, so speak. What's a Dungeon Core, what are monsters, and what’s this dee pee thing? As for being summoned… I get that part." 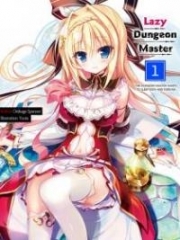 "A little girl Dungeon Master…?" I obviously don't know this world’s Dungeon Masters are, but I imagine they're something like the ones in fantasy games. "Rather, you said humans are weaklings, but aren't you a human?" "Ah, come to think of it, I haven’t asked your name huh. What is it?" "Mine? It's Dungeon Core No. 695." A number? Talk about cutting corners… well, if there's a No. 695 I guess that means there's at least 694 others. If that's it, naming would be one of those things that gets skimped on. "Well, it's hard to say Dungeon Core No. such and such, so I decided that your name is Rokuko. Your full name is Dungeon Core Rokuko. Ah, I'm Masuda Keima." "Huh? Mahsewtah Kehma? … Is that a nickname? Rather, what are you going and deciding on your own-"
I don't understand what’s going on, but that's how I became a Dungeon Master.